Due to a shift in placing higher demands on school readiness, children in traditional child care centers are spending the majority of time (70%-83%) in sedentary activities and do not meet the amount of physical activity recommended by the American Association of Pediatrics*. This decreased engagement in physical activity has been associated with higher rates of obesity. In addition, physical activity is necessary to develop gross motor skills, social-emotional and cognitive abilities. Physical exercise has been shown to be associated with increased memory, attention and brain growth. ** While replacing physical activities with longer periods of sitting for learning school readiness skills may increase the quantity of instruction, it does not improve the quality of student acquisition of these concepts. 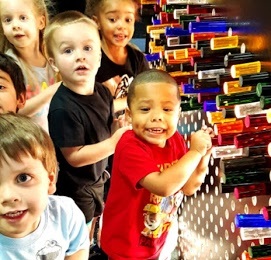 The Explorative Play Learning system provides children with opportunities through structured and unstructured play activities to develop cognitive and social-emotional skills, communication, and increase independence by physically exploring and inquiring the environment around them. 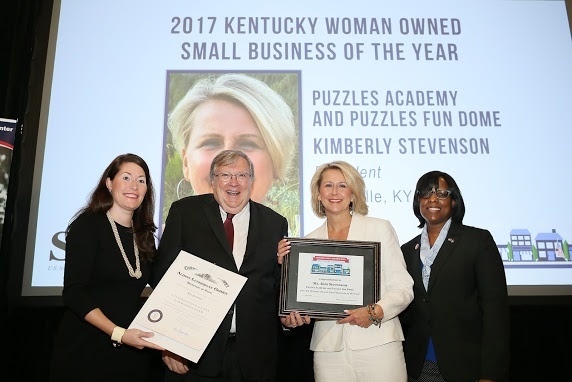 This learning system, created by Puzzle’s Academy, can be seen in all aspects including, center design, play areas, classroom designs, teacher led activities, daily schedules, and menus. 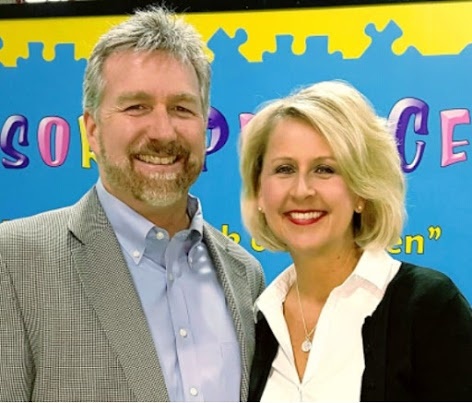 Each are purposely designed to support the unique needs and development of the individual child. This learning system was derived from the work of multiple well established theorists and researchers including Jean Piaget, David Ausubel, Vivian Paley and as well as recommendations made by the American Academy of Pediatrics.. 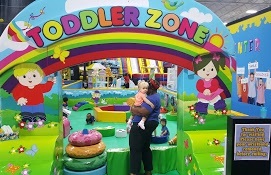 The Toddler Sensory Play-land (13 months- 24 months) is specifically designed for younger students. This play area is constructed of soft equipment to maintain the safety of children who are still developing adequate gross motor skills. Not only will students continue to develop strength, stability, and balance in the Toddler Sensory Play-land but also will learn through the engagement of the senses, body, and mind. 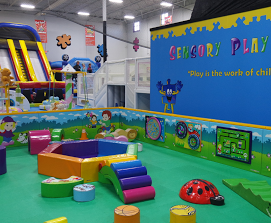 The Imagination Zone (ages 3-12 years) is housed indoors and includes multiple inflatable play structures. The inflatables incorporate kid friendly themes to engage students in fun and imaginative activities. While students are preoccupied with having fun and interacting with peers in this play area, they are also practicing skills to improve gross motor development. The Creation Station (ages 2-12 years) comprises of an art studio and enormous light-bright. In this play area, students will exercise creative thinking, problem-solving, visual-spatial thinking, and practice fine motor skills. 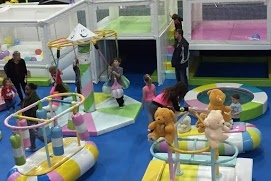 The Adventure Playground (ages 3-12 years) indoor structure includes slides, tubes, and climbing components. Children will develop gross motor skills, physical strength, and flexibility as they play. In addition, they will practice social skills like waiting turns, pretend play, and cooperation with other peers. The Outdoor Activity Zone (ages 3-7 years) includes climbing structures, a merry-go-round, see-saws, playhouse and other outdoor activities. Students are also provided with outdoor toys to enhance their play and creativity in this area. 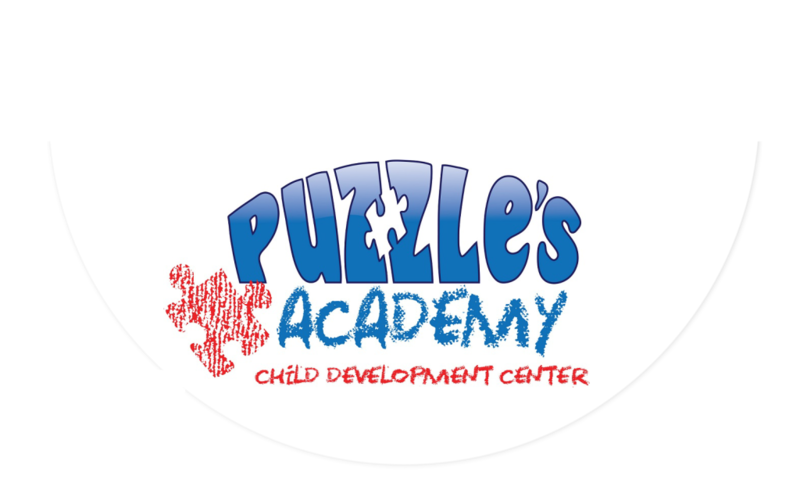 The teachers at Puzzle’s Academy create lessons that are designed to support the achievement of developmental milestones that are specific to each student. The lessons are based on the Explorative Learning System which utilizes both child directed exploration and teacher structured learning formats to facilitate growth in social emotional functioning, cognitive and physical development, communication, and independent skills. Teacher directed explorative instruction utilizes multimodal learning strategies (i.e. visual, aural, and kinesthetic) to teach skills. Using multimodal strategies not only allows for increased student attainment of skills but provokes the curiosity in children to maintain student attention. Puzzle’s Academy teachers create lesson plans to address the growth of student cognition, social-emotional, motor skills and communication. Activity and instruction is tailored to meet the needs of the students in the class. However, all children are exposed to social-emotional learning activities and school readiness skills (colors, shapes, alphabet, and numbers). Children will not learn just through passively sitting and completing activities but rather through movement, song, role-play, art, reading and other formats. Child directed explorative learning is built within the daily schedule. The child is able to freely explore their environment and play space through both creative and imaginative play.